There are definitely ways to reduce the cost for your wedding. Rather than hiring an expensive professional photographer, try contacting your local college or university to find a talented student photographer. This is a guide about hiring a student photographer for your wedding. If you want a professional photographer at your wedding but can't afford one, contact a local university's photography department for a starving student who might do it for less. Also you might persuade that student, or another beginning photographer to take the pictures but give you the negatives, or images on a disk, if digital. You have them developed at a later date when you have more money. You pay the photographer for his time, but not the prints. A well established photographer is NOT going to go for this, but a beginning photographer might be willing. NOT something I would do unless you really don't care about your photos AND can hire them for a few cents on the dollar. In small claims court, we see more lawsuits about wedding photographers than you can imagine. They aren't responsible for you being fat, having bad makeup/hairstyle or cheap/ugly clothing and decorations but these lawsuits abound. A student is not a professional. Would you hire a student chef or a student dress designer??? 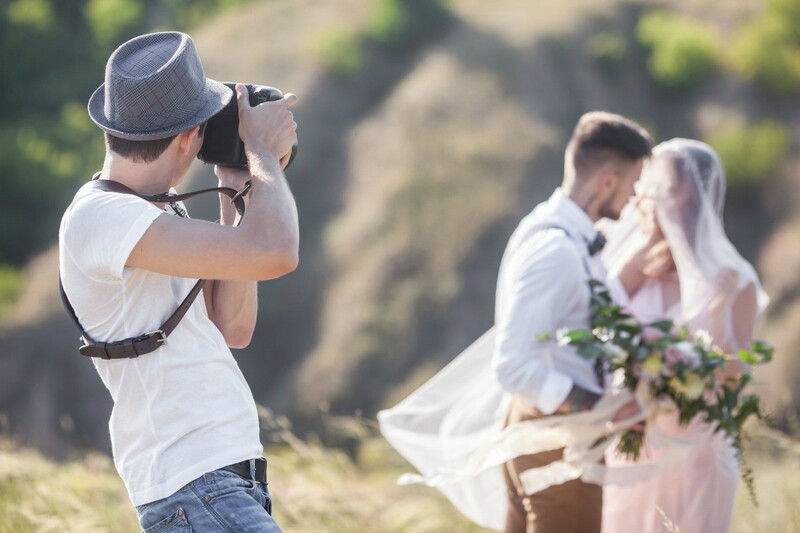 With a higher than 50% divorce rate; people honestly may have no use for their wedding photos so it wouldn't matter in that case. But if you want to record memories and need to be cheap about it, try giving out digital cameras for use or finding 2 or 3 friends who can take a bunch of your shots. See if friends can loan you cameras, etc. That way, all you would have to do would be buy the memory cards and can then pick and choose from hundreds of photos. Photo editing software is better than ever and you can do wonders on your own if you make the effort. Once someone is paying to have a job done; they forget that they should only expect to get what they have paid for. The extreme anger and disappointment isn't worth saving a few dollars on what we hope is a once in a lifetime event. I don't know about the guest post. But I've shot many, many weddings for a small fee (sometimes as little as $100) and have given the bride and groom a cd of their pictures. I have not once had someone come back and tell me that they were terrible or even think of a lawsuit. Of course, before I gave them the pictures, I took every one of them into photoshop to make sure they were okay and to tweak them when necessary. Years later when you sit down as husband and wife to look at your pictures, the last thing you want to to do is be sad. There only three things you take from a wedding: 1. Groom or bride 2. Rings 3. Pictures. Everything else means nothing! Plan a smaller wedding and stop trying to feed everyone.